Industry Denver, located at 3001 Brighton Blvd. opened its doors on May 15th and represents a taste of what’s to come on Brighton Blvd. If you have been paying attention to the River North (Rino) neighborhood of Denver you are familiar with how popular the area is becoming. The vibe and feel of Rino are like nothing else in the city and it’s becoming one of the hippest areas of Denver. 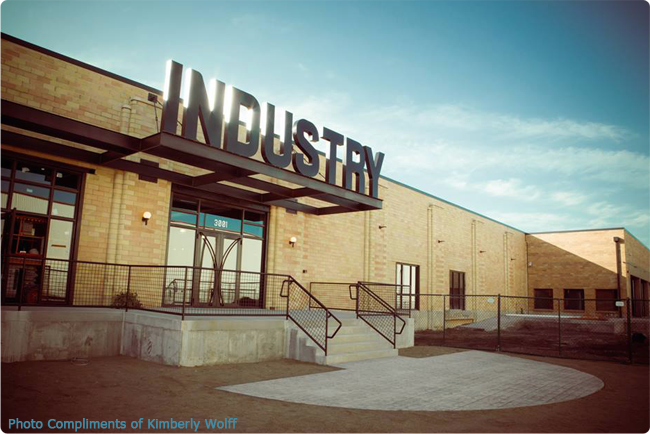 The Rino neighborhood is industrial and gritty, combined with chic and sophisticated. 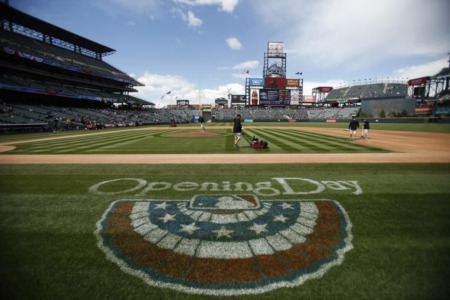 The Industry Denver project can be described the exact same way. The building itself is a repurposed work of art. Phase one is 130,000 square feet of collaborative office space with four new restaurants. The project, described by developer Sean Cambell, is a technology focused business ecosystem. The project caters to small to medium sized technology and creative companies looking for non-traditional office space and want to be part of a larger collaborative ecosystem. Industry tenants have an opportunity to cohabitate creative clusters of offices, conference rooms, community kitchens, lounges and work areas that foster productivity and innovation. 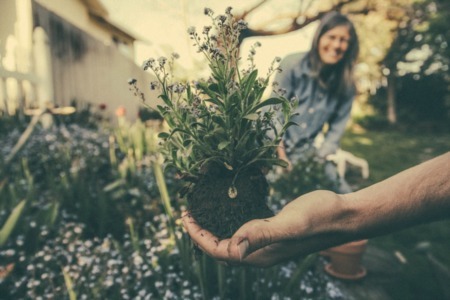 According to Mayor Hancock, the strength of the project will be its ability to draw new, innovative businesses to the Denver area, grow them with “incubation space” and then add them to the expanding list of businesses headquartered in Denver. Restaurants in phase I of the Industry Denver project will be Tengu (asian noodle house & sake bar), Will Call (neighborhood pub), The Griffin (European Gastro-theme with Bocci Ball courts) and Wystone’s (healthy focused cafe). So, why is a residential real estate broker, such as myself so excited about commercial real estate project? The answer is simple – for what it’s going to do to the area. The Industry Denver project combined with The Source give a glimpse of what is coming. I had a chance to speak to the downtown Denver business partnership about Rino and they hinted at a great deal of development money and improvement grants jockeying for position in the bowtie of Rino. In addition to another 83,000 square feet of office space opening later this year, The Industry Denver project has 55+ residential “for sale” town-homes being built this fall along the S. Platte River. They are also constructing a 250+ unit “for rent” development. That is a lot of residential density that will spark a great deal of redevelopment of existing architecture new development along Brighton Blvd. As a native of Denver, what’s happening in River North or Rino is so exciting because it represents another massive development surge that will compliment the Union Station redevelopment in transforming downtown Denver. Love what the Industry guys are bringing to RiNo and everything you had to say about them. The map needs work-- RiNo ecompasses both sides of the river including TAXI. It also extends to the other side of the tracks to Larimer. Just don't want to lose sight of all of those who have invested 15+ years in the urban hinterland over here. Thanks for the feedback. 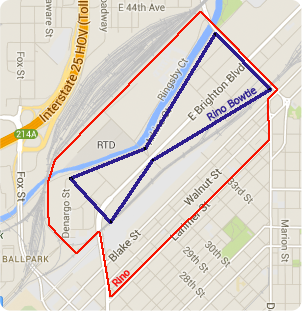 I have updated the map to reflect the boundary for Rino with the bow tie the article is talking about. I know TAXI is a huge part of the transformation of the River North and that you and your team have been innovating over there for quite some time.